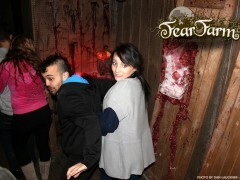 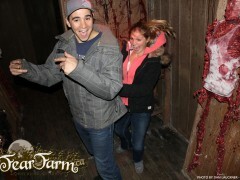 People freaking out in a haunted house. 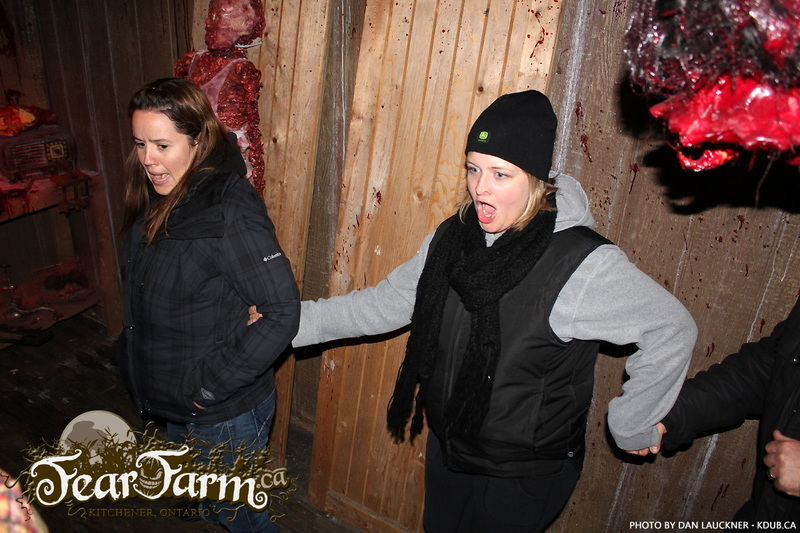 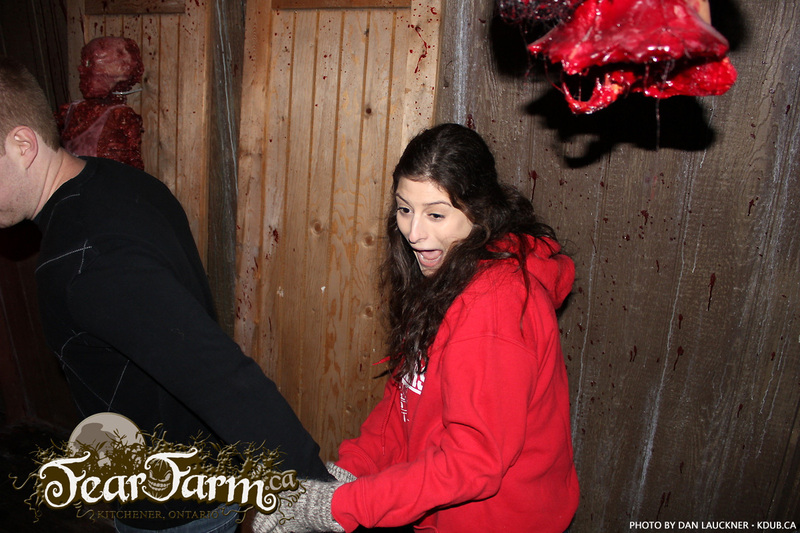 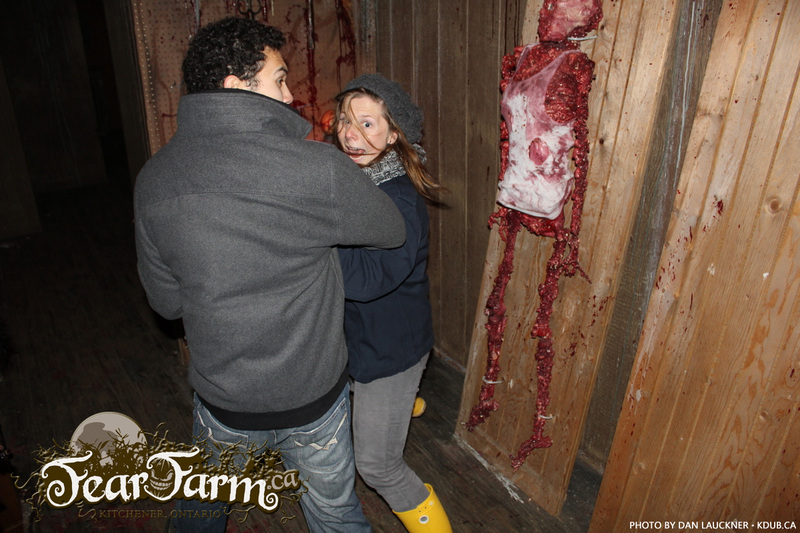 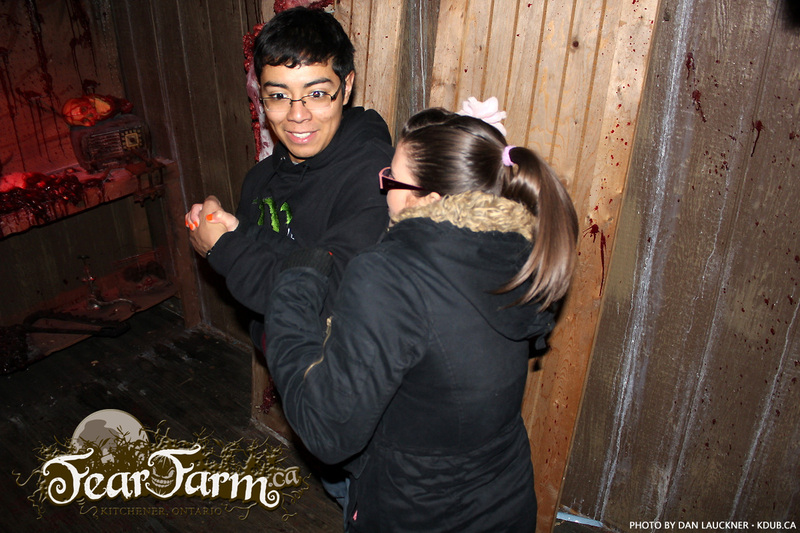 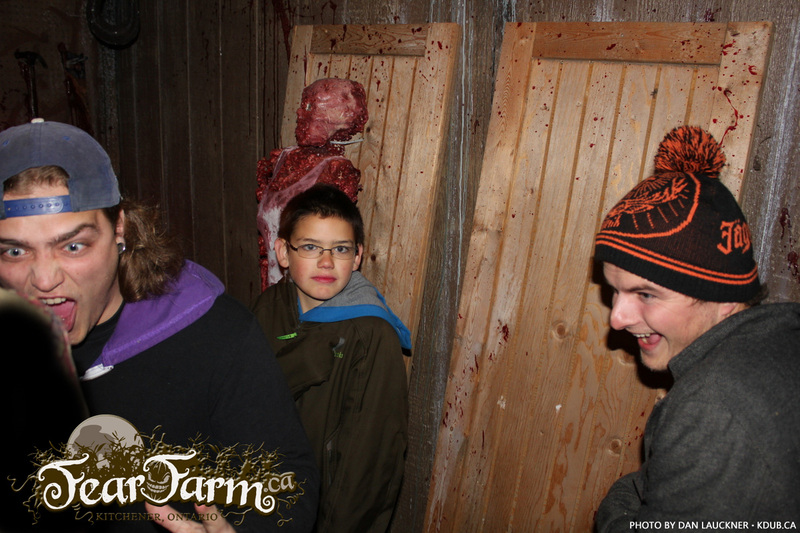 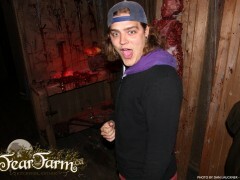 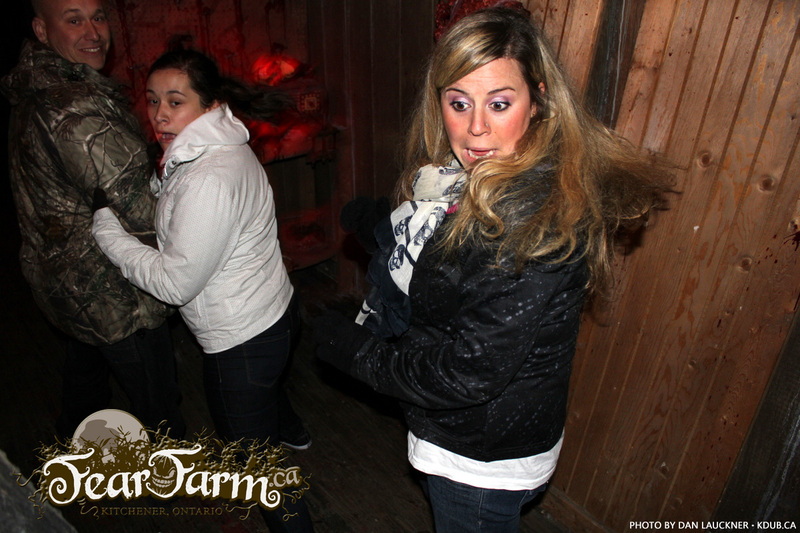 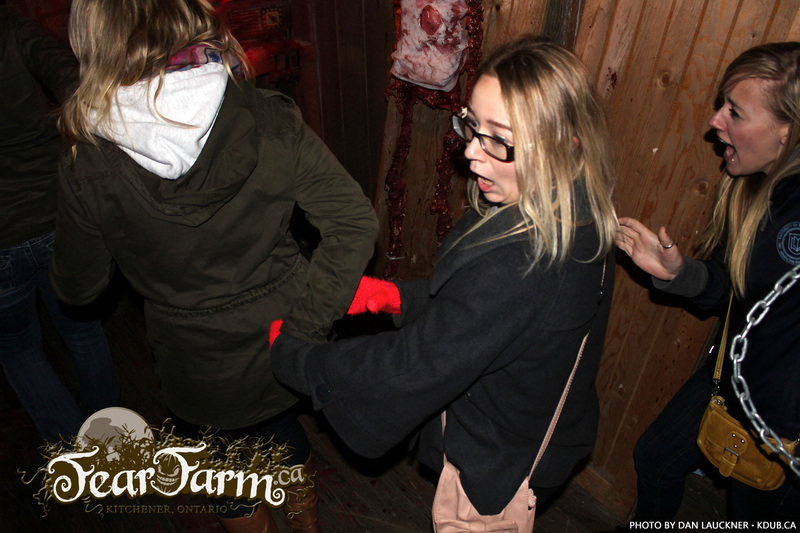 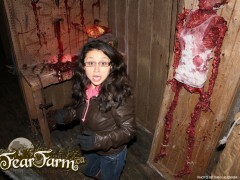 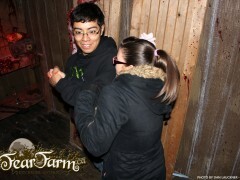 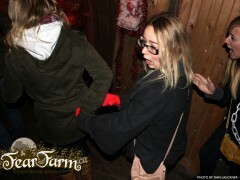 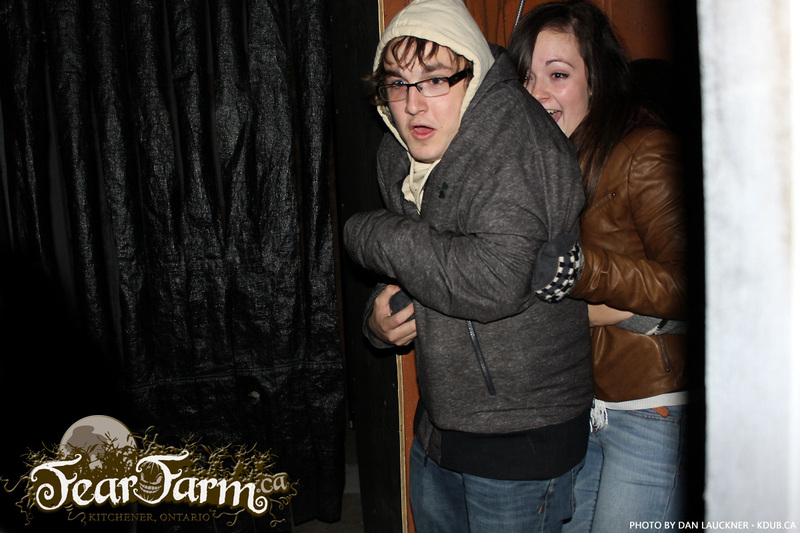 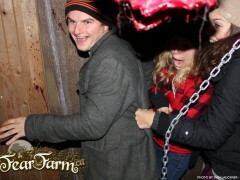 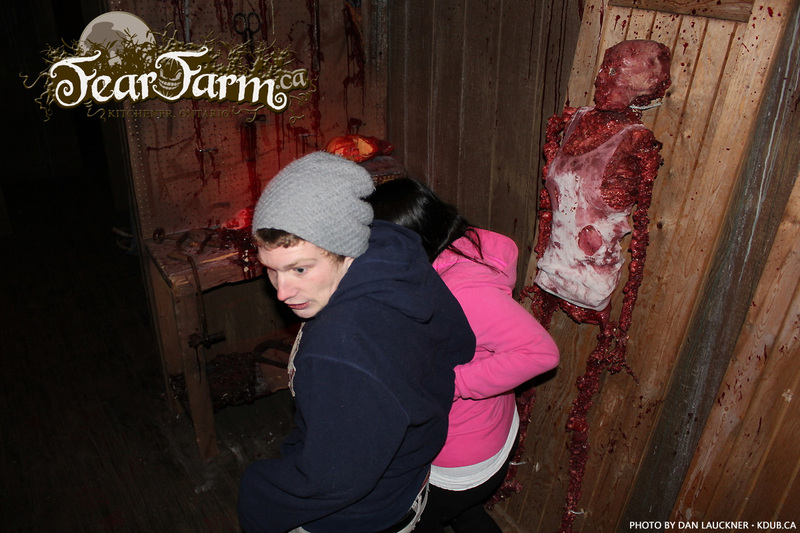 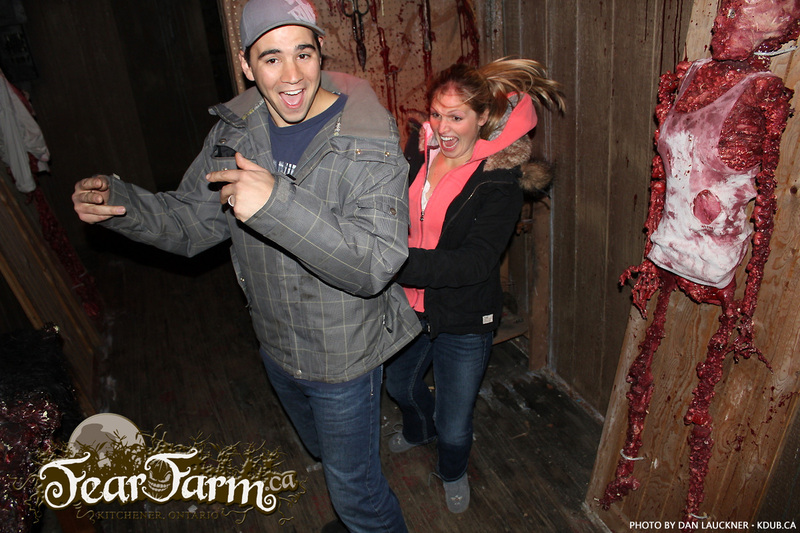 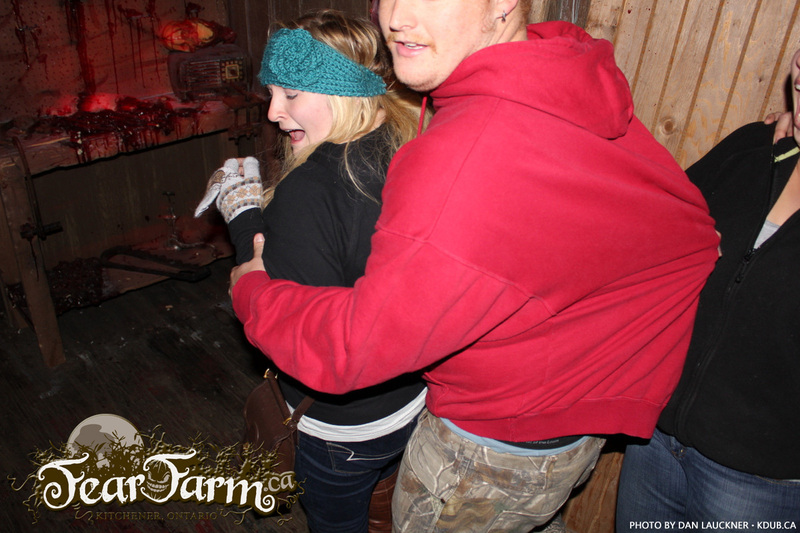 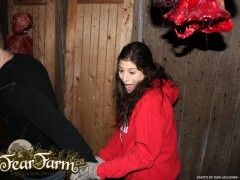 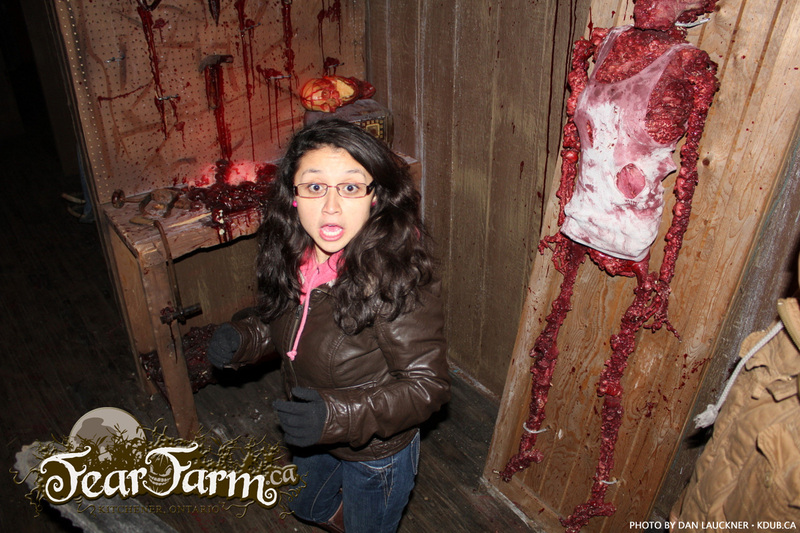 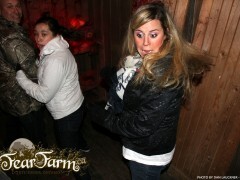 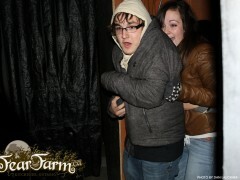 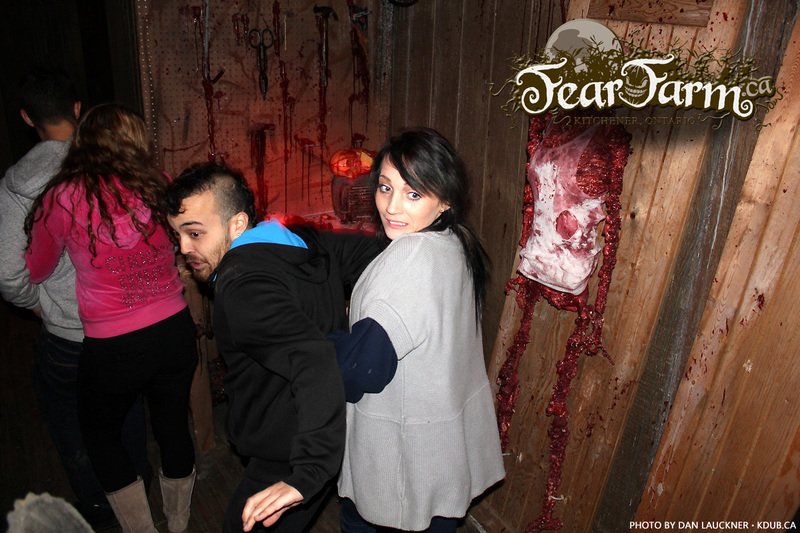 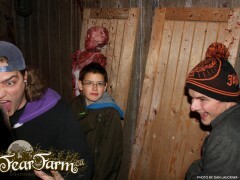 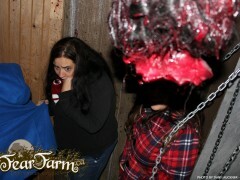 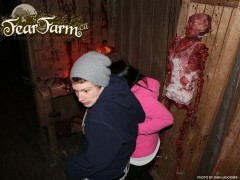 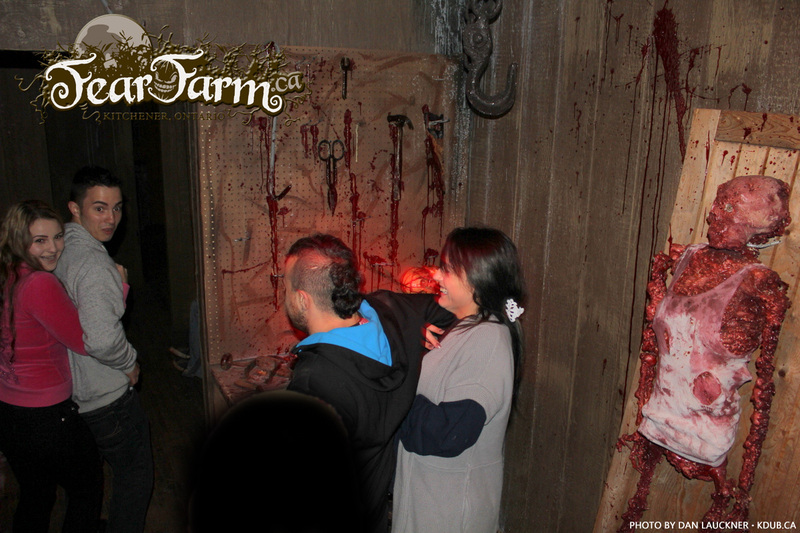 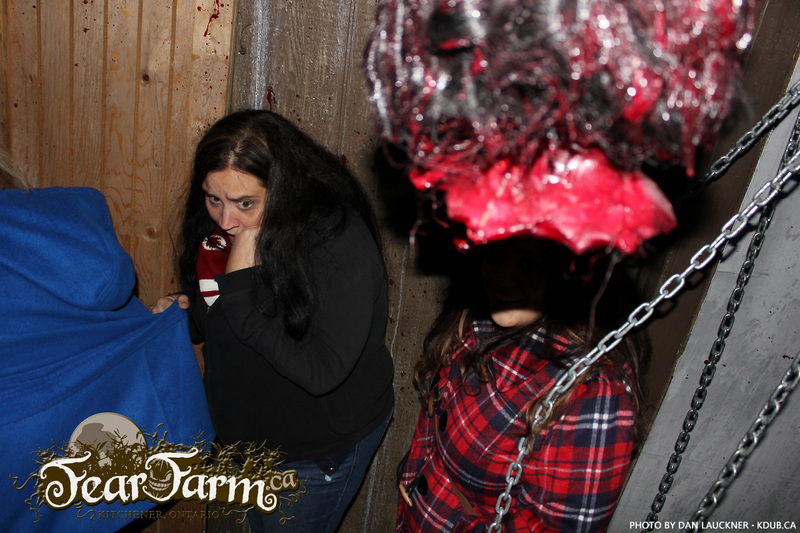 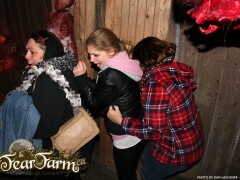 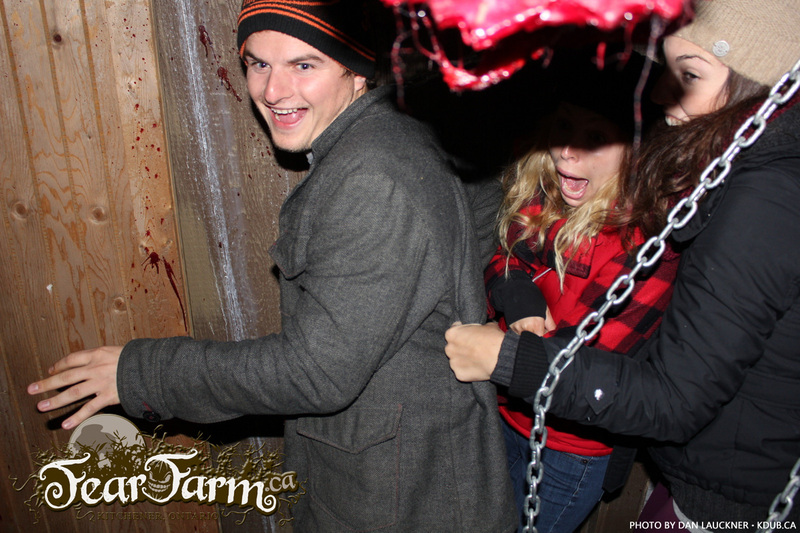 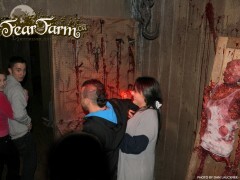 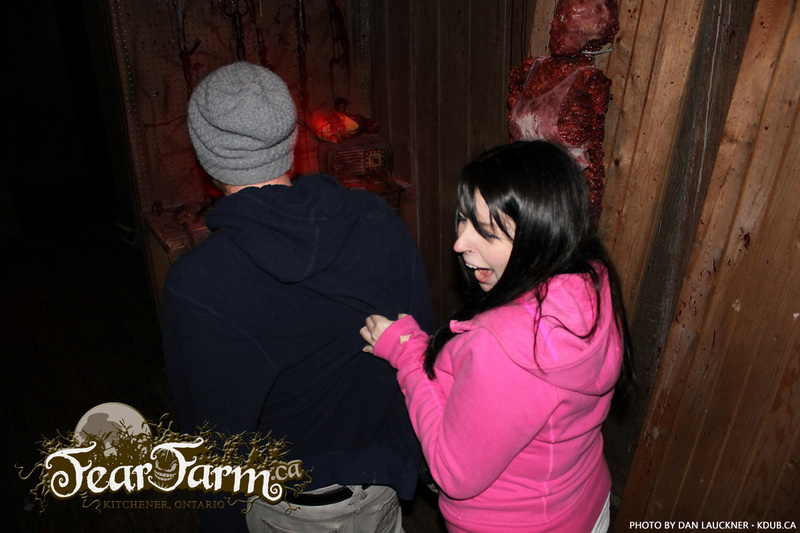 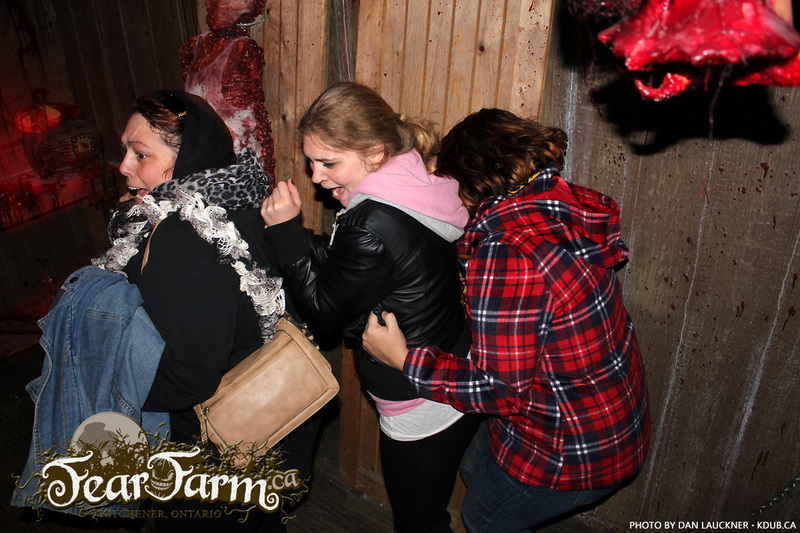 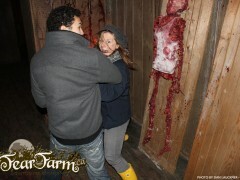 Fear Farm is Kitchener-Waterloo’s most exciting Hallowe’en destination. 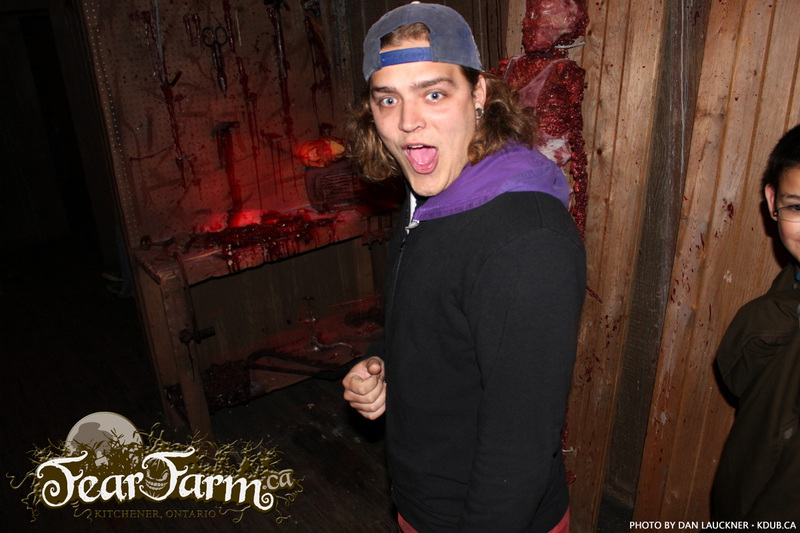 Hit Fearfarm.ca for details.